Brands know the power of influencers. 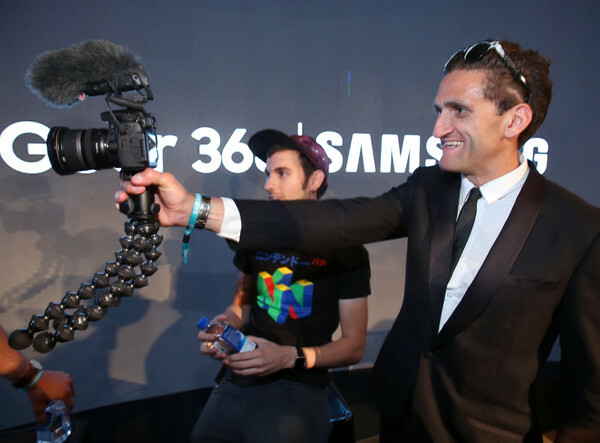 Casey Neistat for example has millions of followers on Youtube and brands such as Samsung are happy to pay a lot of money to make a cool film featuring Neistat doing some totally ridiculous (but really cool) stuff. People love him, because he stays authentic. A quality that you need to have as an (good) influencer. Micro-influencers don't have the millions of followers such as Casey has, more in the range of 1K to 100K followers (how we see it) but their engagement rate with their followers is way higher. Mostly because they represent a particular passion or niche. They are highly relatable, genuine and trustworthy. In other words launching a campaign focused on micro-influencers is basically word of mouth marketing on steroids. Companies as the Hudson-bay see the power of micro-influencers and trying to recruit over 1800 employees (dutch read) in the Netherlands. (micro) Influencers know the importance of high engagement. So you see a group of people focussing on improving these rates ( Interactions Per Mile) by commenting on each others posts. Which should not be seen as real engagement. Something which not seems sustainable and what will be big challenge for brands to manage to leverage this high potential millennials for their marketing purposes and spreading the word. The challenge is recruiting the right influencer and engage with them. The solution is focussing on building a sustainable and recurring relationship with your fans on social-media. Making them part of your social-selling story and the "why" you exist is important. This is also the reason why we started Sellify. We strongly believe that your customers and fans are potentially your biggest influencers. They are genuine and love what your doing!